Nephron Power: Telenephrology: Is this the answer? Chronic kidney disease (CKD) is a common medical condition, affecting approximately 26 million adults in the U.S. Parallel to the increasing prevalence of CKD, a record number of patients now have end stage renal disease (ESRD). In 2007, 368 544 patients were on dialysis—a striking 54% increase from one decade earlier. Meanwhile, mortality rates for dialysis patients have declined, and approximately 775 000 people are expected to be alive with ESRD in the year 2020. The nephrologist—a central provider for patients with CKD, ESRD, or kidney transplants—assumes a critical role in addressing the primary care needs of these patients, who tend to require frequent follow-ups. To meet the projected need for nephrologists inthe United States, fellowship programs should have produced an estimated 436new nephrologists each year since 2000. During the past decade, however, the American Board of Internal Medicine (ABIM) only certified an annual average of 382 nephrologists. This is despite the organizations many efforts and initiatives to recruit physicians to the field of nephrology. If you do the math, the deficit is alarming. Telemedicine is the practice of medicine using modern communication technologies when the physician and the patient are separated by distance. The modern communication technologies involved are nothing more intimidating than the telephone, e-mail and videoconferencing. Formally defined by the American Telemedicine Association, telemedicine is the use of medical information exchanged from one site to another via electronic communications to improve a patient’s clinical health status. It has been applied to other specialties, particularly neurology, radiology, psychiatry, ophthalmology, and high-risk obstetrics but nephrology has been a slow starter. Indeed, as a specialty, nephrology may be very suitable for this type of medicine. Nephrology is a visual and auditory rather than tactile subject – the skill is in recognizing diseases principally from a history, backed up by demonstrating basic physical signs in an examination and established by laboratory tests. 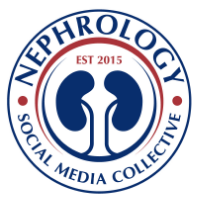 So, if nephrologists based in urban centers can deal with renal patients in distant parts of the country, or even different countries, by means of communication technology, then the problem of reduced access to specialist care may be lessened, if not solved.